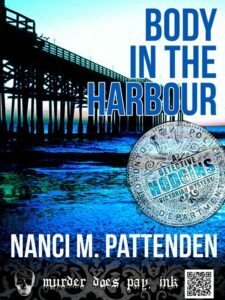 I had the pleasure to speak with indy author and mystery writer Nanci M. Pattenden for this issue. Her Detective Hodgins novella series is a nice change to the ‘over-graphic’ nature of adult writing these days. I have read both books in the series and find them a great little escape, perfect for commuters or something interesting (but not epic) before bed. Nanci shares her insights on her Detective Hodgins Victorian murder mystery series, writing habits, muses, and time in the trenches mastering her craft. MJ: What drew you to the mystery genre? NP: I’ve always enjoyed reading mysteries and true crime stories. I don’t really know why specifically. I just find it fascinating. The reasons people give for committing crimes and the ingenious and sometimes totally weird ways they come up with to ‘do someone in’ are mind-blowing. Reading the mysteries and trying to figure out who the killer is can be fun. It’s also frustrating when the author decides to keep one major clue out of the story, only to be revealed at the end, so the reader has no real way to sleuth along with the investigator. It’s way more fun when you ‘help’ find out who did it and remember when the main clue was introduced, usually in the most innocent way, so you didn’t realize at the time that it was important. MJ: Would you ever consider writing in a different genre? NP: For sure. I’ve always wanted to write horror, or even comedy. I’ve got most of Stephen King’s books, and many from John Saul and Mary Higgins Clark. I also enjoy reading Stephanie Evanovich’s Stephanie Plum series. Her books are funny, even though they’re murder mysteries. I’ve started the occasional short story in horror or comedy, but they don’t go where I want them to, so they are just residing inside the computer for now. I’ll get back to them one day. MJ: What are your favorite scenes to write and why? NP: I don’t really have a favorite type of scene, but I seem to get quite into dialogue. A lot of people have trouble with it and write pages and pages of narration and description. I’m the opposite. Dialogue comes pretty easy, but the details have to be drawn out of me. My editor is great at suggesting areas for me to expand on. I’ve read so many books where the author drones on and on about stuff that has nothing to do with the story. Makes me think the author is simply trying to beef up the word count. As a result, I’m afraid of over-describing and risking boring my readers. I don’t want them to flip past pages, as I sometimes find myself doing. MJ: Could you tell us a bit about your writing process? How do you get ideas for your stories and then translate them into a book? NP: I generally get my ideas from stories I’ve read in the old newspapers. I like to go into the issues from the mid-1800s to early 1900s, as they gave so much detail and, as Mark Twain said, “Truth is stranger than fiction.” When I come across something that grabs my attention, I write down the details that I decide are important, build my story around those points, and then I change and add whatever is necessary. I don’t outline or build character sketches before I start. Many people say that’s the only way to start, but everyone works differently. I’m what’s called a pantser. Basically, I fly by the seat of my pants when writing. I do have a general idea of where I’m going, but frequently don’t know who the killer is until I’m near the end of the story. Sometimes, while editing, the murderer turns out to be someone else. I think if I did a full outline and profiled my main characters, I’d never get the story started. MJ: What was the most difficult scene for you to write in your Detective Hodgins series to date? 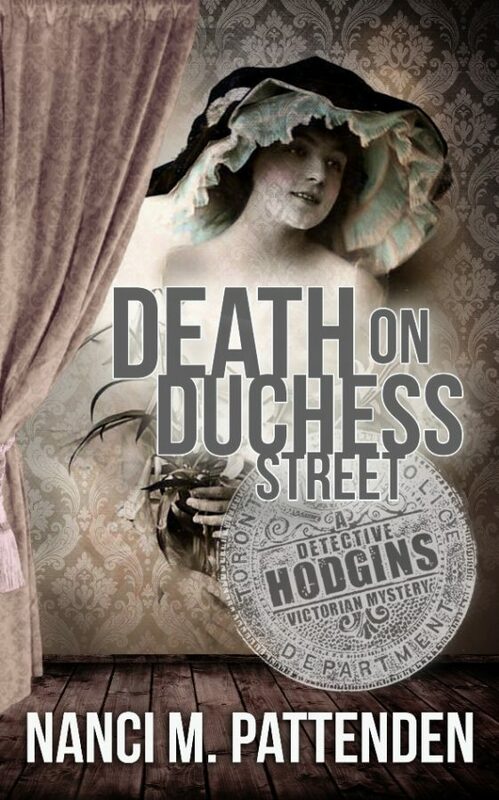 NP: I think the most difficult scene was in book two, Death on Duchess Street, when the father came home to find his daughter dead. It wasn’t difficult because it was a young girl who was murdered, but because I needed to have details without making it gory. 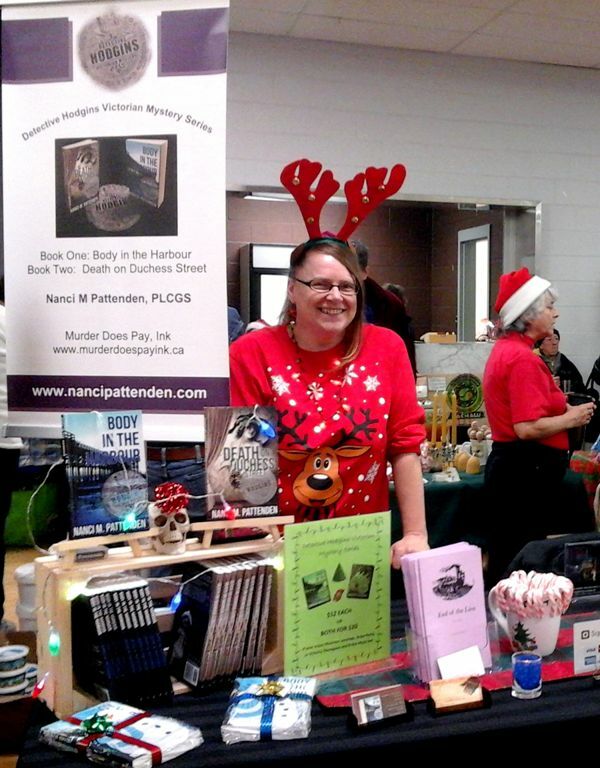 My books lean towards the cozy side, even though, technically, they aren’t. Because I want to keep them more on the lighter side, I needed to set the scene without totally grossing out the readers. I think I managed to convey his reaction with a slightly disturbing but pertinent description of the room. I also managed to lighten it up a bit with the constable’s reaction outside the house, when he called for backup. 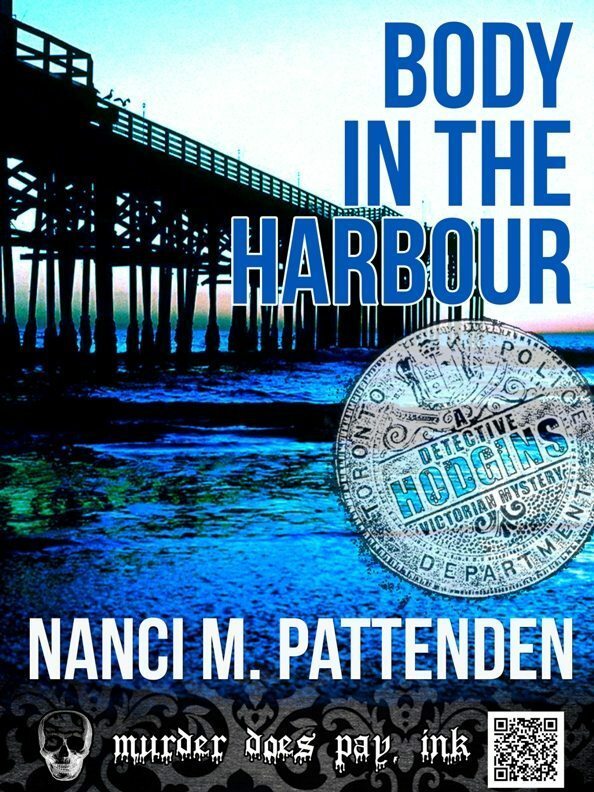 MJ: If you could meet one of your characters from the Detective Hodgins series, who would it be? Where would you meet? And what do you think you’d talk about? NP: That’s a hard one to answer. I think I’d like to meet Constable Barnes. He’s a bit of a klutz, but he’s also a fast learner and very interested in climbing the police ladder to become a detective. I hope we wouldn’t meet at the police station, but rather a chance meeting, say on the street while shopping, chatting with him while he is in the midst of his rounds and finding out why he became a cop and why he enjoys it so much. He’s young and naïve, but not stupid. MJ: What insights or advice can you impart to new and emerging writers, based on your experience? NP: The main advice is what many writers say—just write. Place bottom in chair and fingers on keyboard (or pen to paper) and write. It doesn’t have to be good. That will come later. Just get in the habit of writing whatever strikes your fancy. I’m also a believer in education. So many colleges and universities offer full or part time courses on creative writing. In order to learn the craft better, I took the creative writing program online through the University of Calgary, and have just started a more genre-specific program online through the University of Toronto. You don’t need to take courses at that level though. Many local high schools offer evening courses, which is where I started my writing education. You can also find some free course online. Read books and blogs on the craft. Join a writing group, or start one of your own. If there isn’t one locally, find one on the internet. There are many free or low-cost writing websites for both new and experienced authors. MJ: Finally, what projects are you currently working on? Can you reveal any juicy hints? NP: I’ve been working on a story that I started for one of my courses. It’s totally out of my comfort zone—it’s sort of a fantasy/new adult book about an almost twenty-one year old who has inherited her grandmother’s house. Her family practice a type of Celtic witchcraft and she is weeks away from the initiation on her twenty-first birthday. Her mother is dead, her grandmother just died, and she’s trying to figure out how to complete the ceremony on her own. She’ll discover some interesting—and possibly disturbing—things about her family and the deaths of her family members. I do also have a third installment planned for Detective Hodgins involving his older brother, but I haven’t started working on it yet. MJ: It’s been a pleasure chatting with you today. Thank you again for stopping by and sharing your experiences and stories with us. NP: Thank you MJ. It’s been a treat talking about my book and the writing process. Thank you for taking time to chat with me. 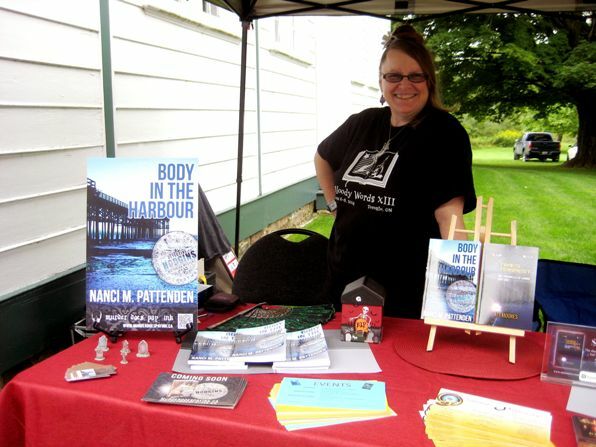 Nanci M. Pattenden is a genealogist and a fiction writer, with non-fiction articles in The Attic, Ancestors, and Site Lines. She is currently working on a collection of detective stories set in Victorian Toronto, as well as a novel based on an 1891 murder involving a young relative. 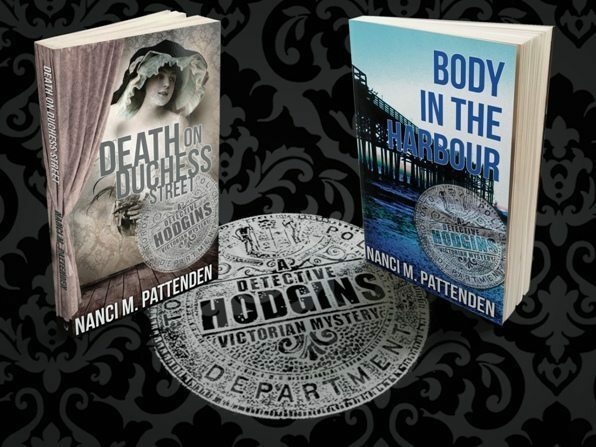 Body in the Harbour and Death on Duchess Street are the first two novellas in the Detective Hodgins series, published by Murder Does Pay, Ink. 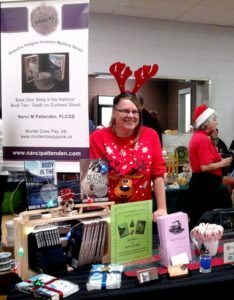 Nanci lives in Southern Ontario with her diabetic cat Sandy, and has completed the Creative Writing program at the University of Calgary. This entry was posted in 92 on February 3, 2016 by aipman1.